Boban Marjanovic and Tobias Harris are fun dudes. 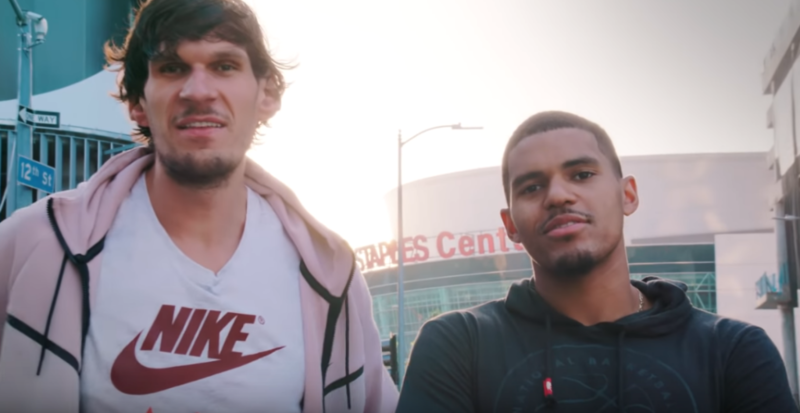 I spoke to Bobi and Tobi on three-way while Boban drove around L.A. and I tried not to be distracted by the sound of him engaging the blinker, and picturing a 7-3 human being driving down Figueroa Street. Boban’s English is much better than my Serbian. BTW the important part to remember is that as you read Boban’s parts in this interview, imagine it in a super thick Serbian accent. I stumped Boban on a trivia question that he was the answer to, learned about Subway’s Golden Ticket trivia game hosted by Bobi & Tobi, and explored Tobias’ affinity for NBA sharpshooting legend Dale Ellis. Boban, what kind of car do you fit inside? A Range Rover. I drive from the second row of seats. How many tandem interviews like this have you guys done? Tobias – We’ve been splitting them up, but altogether, about 60. What’s the worst question you’ve been asked today? Boban – All is nice. There’s been no, ‘Boban how tall are you?’ questions? Tobias – Actually, we did have that question. Boban – Yeah, we already had that question. Tobias, you’re 6-8 and no one is asking how tall you are. Tobias – They all just forget about me, Paul. When was the last time anyone made you feel small Boban? Even fellow-Serb Vlade Divac isn’t as tall as you. Boban – It has been a long time. Even in this league of huge humans. I never feel small. 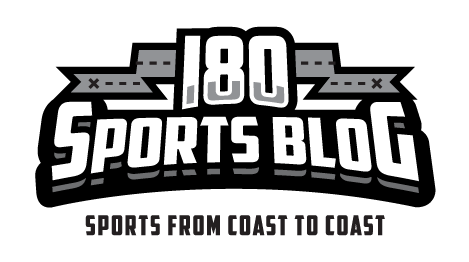 Tobias – Subway is giving away awesome prizes like tickets to the Daytona 500, the NBA All-Star Game, the NHL All-Star game. The fans do trivia to qualify and win these prizes. Trivia? I’m down. What do you guys got? Tobias – You get on Instagram and you respond and hopefully win. Well, what do you got? Aren’t you guys armed with a trivia question? Tobias – No, we’re not. You guys are in luck. I have a great one. Who is the most efficient scorer in NBA history? Tobias – I think it might be Boban. It’s Boban! Tobias, you win the footlong! 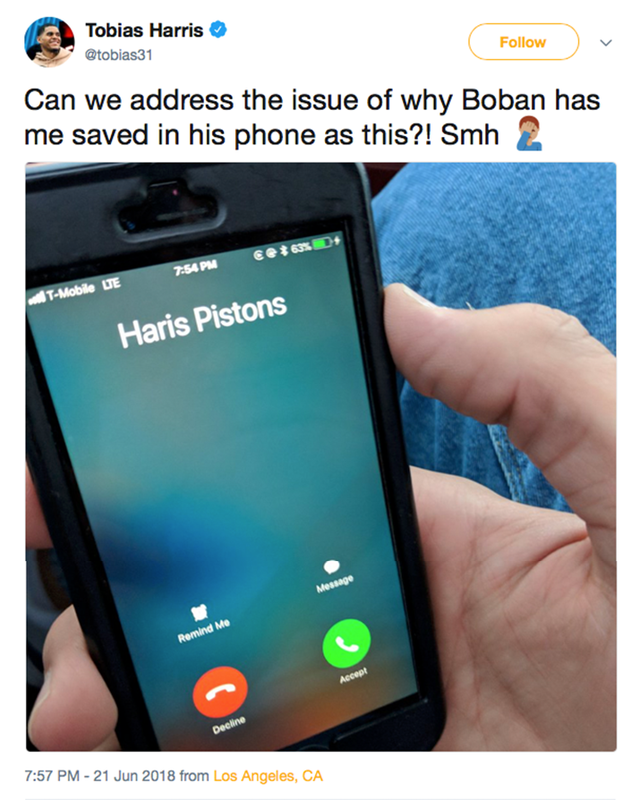 Tobias – It’s Boban, huh?! Hilarious! It’s BOBAN! Boban, are you efficient in all areas of your life, or just scoring? Boban – Yes, everything. in all areas of my life. This is how I do. Most Efficient Human Being of All-Time. What’s is your respective favorite Subway sub? Boban, you went chicken teriyaki quick, like a layup. Boban – Ha like a layup but more like a dunk. Boban, why are you efficient and what makes you be able to come and produce for all the statheads? Boban – Yes, for me I am little closer than for other guys. Tobias, I love your game. It’s an old school style game. You can hit the mid-range shot, you can stretch the floor and hit the three, and attack the rim. Any old school player you compare your game to? Tobias – Not really, but there’s a lot of guys I took pieces from. George Gervin has been a great mentor to me. Dale Ellis for sure. Dale Ellis! Great throwback player! Tobias – Yes. definitely an inspiration. Love how the players of that era played the game. Boban, speaking of old school NBA players like Dale Ellis, how often do people stop you and ask if you are Gheorghe Muresan? Boban – Haha, nobody. This has never happened. Boban, favorite player to dunk on or block? Boban – Favorite player to dunk on me? Every dunk, or every block I make are all my favorite. Speaking of the Subway Rewards program, are either of you guys old enough to remember those little stamps they used to give you when you’d buy a sub? you’d have to lick them and put them on a card and if you got 8 of them, you’d get a free footlong. Tobias – Sort of. Was that back when McDonald’s had the Monopoly game pieces? YES! I could always get Boardwalk but I could never get Park Place. Tobias – I never could either (sigh). Subway is hosting the Golden Ticket trivia game show on Instagram Live as part of the sandwich chain’s Golden Token sweepstakes for its loyalty program. NBA players Boban Marjanović and Tobias Harris host the Golden Token trivia game, which lets fans play along as they quiz each other on sports and Subway trivia. Fans can see the trivia challenge on the players’ Instagram accounts.